We as per the expertise of our experts have made sure that all our products are of best quality therefore, the offered range of Industrial Ladders that has been as per the predefined industrial standards of the industry. We are offering this range in the most comprehensive rates and in this whole range we are offering Flanged Single Ladders With Treads, Flanged Single Ladder With Treads, Stepladder With Rungs and Double Sided Ladders. An overview of this whole range has been listed below. We are consistent in offering to our clients a premium quality range of Flanged Single Ladders with Treads. This range has been widely known for their features of endurance and long lasting nature. Being single ladders, this range has been made from premium quality material that can withstand a human weight. Developed keeping in mind its usage in narrow galleries where double ladders do not fit in, it is highly applauded by our clients. 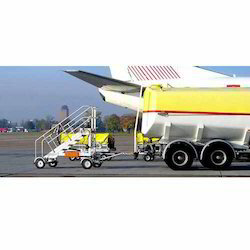 Manufactured with extra safety features for the users, this range has been incorporated with various features. 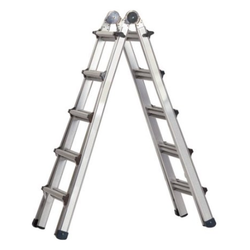 We are instrumental in offering to our customers this exclusive range of Multi-Function Ladders that has been made as per the industrial standards. This range has been widely appreciated for its varied features. 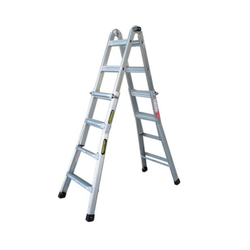 The ladder is widely preferred for its six various kinds of applications. With the support of our team, we have been able to provide our clients with an impeccable range of Fueling Ladders. All these ladders are manufactured by making use of optimum-grade basic material in complete adherence with the prevailing market demands, by our team. With due consideration, our team develops these ladders in different specifications, making us to meet variegated demands of the clients. Looking for Industrial Ladders ?